The ISD school calendar for the 2015-2016 school year was approved in March 2014 and then reviewed and re-confirmed in December 2014 by the ISD Board of Trustees. The ISD Director and Principals prepare a calendar proposal, which they bring to the Board for its review and approval. The ISD Board makes every effort to ensure that the calendar it approves respects the major civil and religious holidays of our host country and school community. The Board’s and school administration’s most important focus is ensuring that the calendar supports academic achievement at ISD. - 2 full and 5 half teacher work days. To enable ISD to better align itself with the IB program, our academic calendar needs henceforth to start one week earlier in August than it has in previous years (finishing, naturally, a week earlier in June). For the 2015-2016 school year, ISD will reopen on August 12, 2015 and close on June 2, 2016. This year, ISD started its school year later than our counterpart IB schools in the region. However, IB schools end up, of necessity, sharing similar calendars because end of year IB examinations all take place at the same time world-wide according to a schedule set by the IB Organization. The Board recognizes that the shift to starting the school year earlier in August will be difficult for some of our families. We looked at several calendar options before determining that an August 12 start was the best option for maintaining our commitment to making sure our students are well-prepared for the IB program. 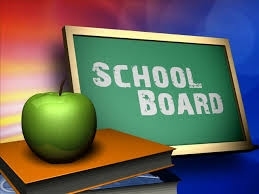 Please do not hesitate to address any further questions you may have on the school calendar to ISD Board Secretary Jennifer Grant at boardbox@isd.sn.